I sometimes take the humble cupcake for granted, so simple yet so versatile and well lets be honest, delicious. I have grown up with the basic sponge recipe ingrained into my mind by my mum (she’ll deny it but god can she bake a good cake). 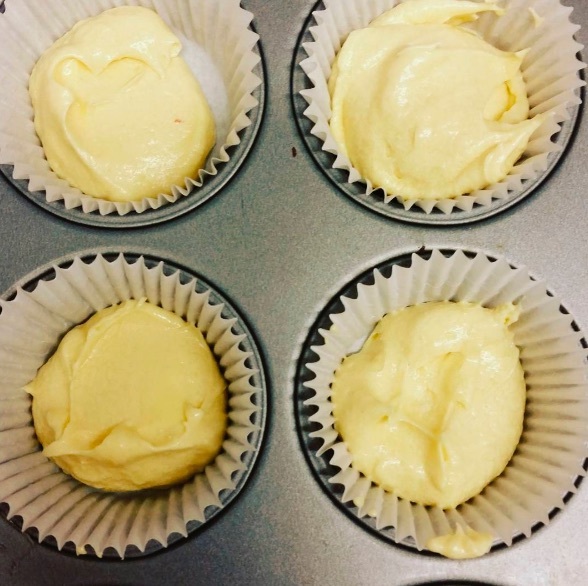 But as I’ve grown older, my horizons have widen and I’ve become a braver baker I have started to experiment more with how to tweak these simple good cupcakes to make them great without increasing the workload! Before we begin I have a confession. Until about a year ago I had only ever used this sponge recipe in ounces. I know I need to ‘get with the times’ but for me its easier to work everything out but as I’m kind I have noted down both grams and ounces (don’t say I never give you anything!). Right here we go all of the 3 recipes use the same base in the same quantities will only minor tweaks to make each one brilliantly different and stand alone. These recipes will make 12 good size cupcakes and all take around 12 mins to cook at 150C so easy to whip up in a hurry! This classic cupcake is definitely a crowd pleaser. It can be jazzed up with your choice of topper whether thats ganache, a dusted of icing sugar or and giant swirl of buttercream you cannot go wrong with vanilla! The consistency of the batter should be thickish. If your looks too thick add a little milk. Not too much or you may make the papers come away from the sides during the cooking process. Pop into your preheated oven for 12 mins, until a cocktail stick comes out clean. Remove from the oven and place on a cooling wrack and decorate as you please! Surely everyone loves chocolate? These light and fluffy chocolate delights will make everyone come back for seconds! Lower the speed on you mixer and add the flour, eggs and cocoa powder until just combined (don’t over beat). This has to be the most under-rated cupcake of all time. The fresh flavour and zingy goodness will spice up any cake table! Lower the speed on you mixer and add the flour, eggs and lemon zest until just combined (don’t over beat). The consistency of the batter should be thickish. If your looks too thick add a little lemon juice. Not too much or you may make the papers come away from the sides during the cooking process. Mix the remaining sugar and lemon juice together and pour a little over each cake and leave to cool completely. Give them a go and let me know how they go. Don’t forget to top them with your favourite toppings!